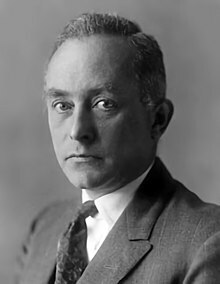 Max Born (11 December 1882 – 5 January 1970) was a German-British physicist and mathematician who was important in the development of quantum mechanics. He also made contributions to solid-state physics and optics and supervised the work of a number of important physicists in the 1920s and 30s. Born became a British subject in 1939. He won the 1954 Nobel Prize in Physics. Born's descendants include his grandaughter Olivia Newton-John and his great-granddaughter Chloe Rose Lattanzi. Wikimedia Commons has media related to Max Born.